Beyond the horizon, out into space, there are wonders humankind will probably never know about. But that doesn’t mean we shouldn’t start looking right away. 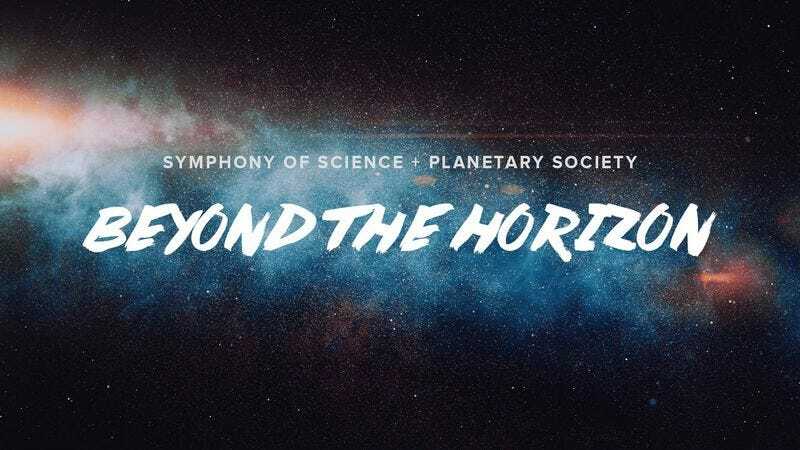 John D. Boswell, a web filmmaker also known as Melodysheep, recently put together this inspiring music video about space exploration for his Symphony Of Science series. This particular video celebrates the 35th anniversary of The Planetary Society and has musical cameos by everyone’s favorite space gurus: Neil DeGrasse Tyson, Bill Nye, Carl Sagan, and Emily Lakdawalla. Oh, and they’re all Auto-Tuned into a brilliant score that is guaranteed to get stuck in your head.